With a National Science Foundation grant collectively given to Rutgers University, Brookdale Community College, NJ Sea Grant Consortium, and the Sandy Hook Foundation, we helped create a research and education model for middle school geosciences education. 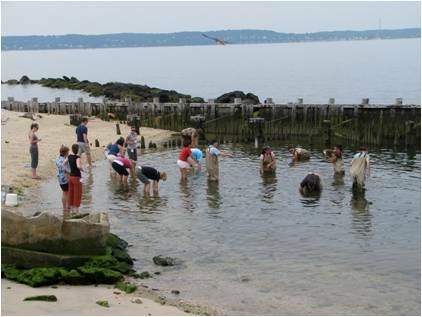 The pilot program went off in June 2011 with a week-long professional development workshop at Sandy Hook for 15 teachers from the Red Bank Middle School. The teachers were challenged with creating lesson plans and an 8th grade curriculum based on geoscience. 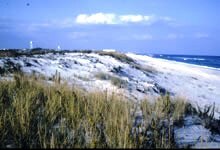 Dr. Psuty gave a lecture on sea-level rise and the history of Sandy Hook's shifting shoreline. 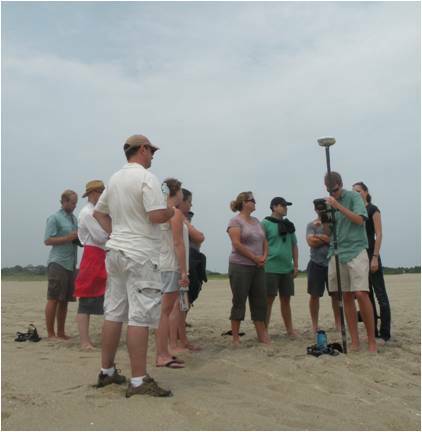 Our team lead the teachers step-by-step through our coastal monitoring surveys to demonstrate data collection. 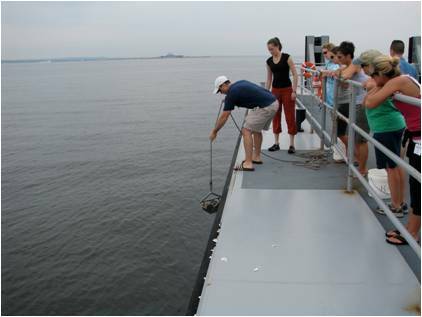 Andrea Spahn showing the teachers how to sample sediment from the bottom of the dock and near the shoreline. Andrea Spahn and GIS technician Dan Soda demonstrating the setup of the RTK (Real-time Kinematics) equipment, atop Battery Gunnison. 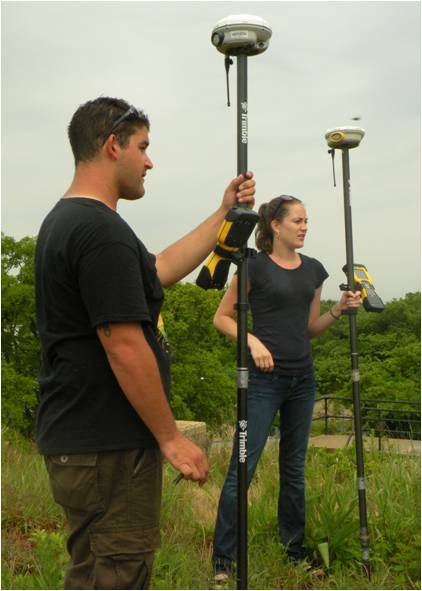 GSA intern John Gagnon explains how to set up a 2-D survey on the Trimble GPS. 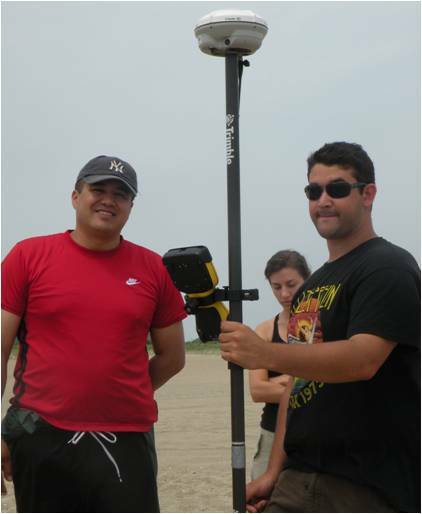 GIS technician Dan Soda prepares to hand over a GPS to a teacher who will conduct part of the survey.